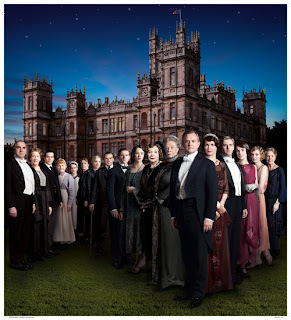 The third season on Downton Abbey won't come here to America until Jan. 6, 2013. To feed our addiction to the show, PBS will broadcast Downton Abbey Revisited on Nov. 25 8pm ET/7pm CT. Its a look back into Season 1 and 2 with interviews of the cast about their favorite moments. Hosted by self confessed Downton fan, Angela Lansbury, the documentary also features a rare behind the scenes footage and an interview with Downton creator Sir Julian Fellowes where he reveals the origins of the show.